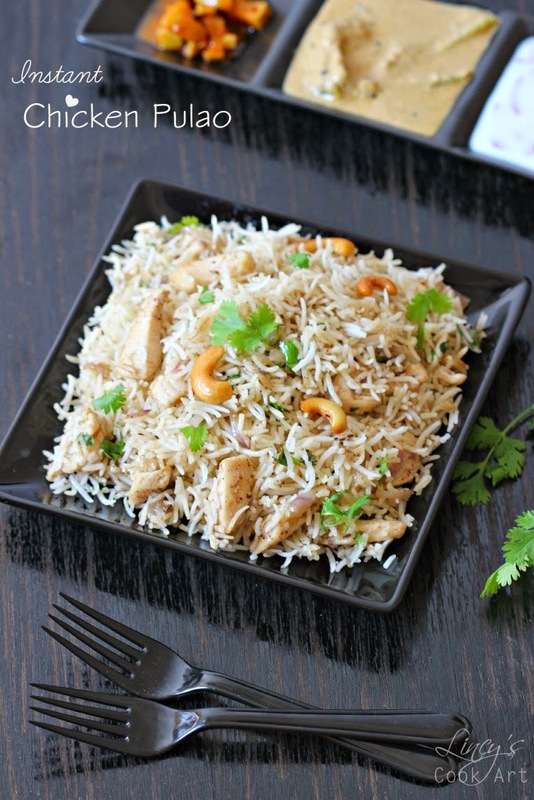 Instant Chicken Pulao: Biryanis are every ones favourite. But the making of biryanis are generally a head ache. It calls for lots of ingredients, vessels and the very long cooking process. 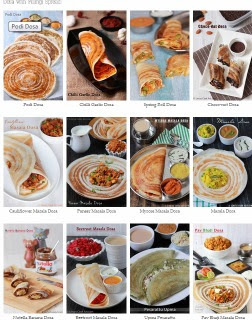 These are the main things stops us making biryanis. Pulaos are similar to biryanis but simplified and less spicy and with less masals added when compare to biryanis. I used to make chicken pulao by two methods. One is pressure cooker method and another one is the instant method prepared in a pan with precooked basmathi rice. Both versions are tasty this version has very limitted ingredients when compare to the pressure cooker method. Half cook the rice with enough salt and drain the excess water. Spread the cooked rice in a broad bowl/plate and allow to cool. Cut the boneless chicken into long thin strips. Then give slanting cuts to get thin pieces which has more surface area and cooks fast. Heat ghee in a pan and roast the cashews till golden colour and set aside. In a separate pan heat oil and add the jeera, cinnamon bark, cloves, cardamom and bay leaf and fry in that oil till the flavour arises. Add the thinly sliced onion and cook with a pinch of salt till the edges starts to get golden colour. Now add the ginger garlic paste and cook in that oil till raws flavour leaves for about thirty seconds. Add the chicken pieces, salt and sugar and cook till the colour of the chicken turns to pink to white. When the chicken almost cooked the moisture from the chicken stops to ooze out from chicken. That stage add the garam masala powder and pepper powder and mix well. Add the half cooked rice and mix well. Add salt if needed. Pour the ghee with the roasted nuts on top of the rice and mix well. Now switch off the gas and add the coriander leaves on top. Squeeze the lemon juice and mix well. Serve with any spicy gravy or Mirchi ka Salan, raitha and pickle.